Just a few years ago we were on the road to dramatic cuts. Here’s how activists and their congressional allies changed that. The idea of expanding Social Security never really seemed possible. In fact, until recently, things seemed bleak. Just a few years ago, in 2012 and 2013, Republicans were pushing to cut the program, and plenty of Democrats seemed eager to give them cover. Centrist think tanks like Third Way opined that Social Security was a “populist political and economic fantasy.” Even President Obama proposed cutting benefits in his 2012 budget, through the so-called chained CPI, which would have changed the way benefits were calculated. At the time, some advisers on Obama’s economic policy team indicated that they believed it was better for Democrats to cut Social Security than Republicans. With friends like these, indeed. The idea of expansion wasn’t even on the table. The most liberal Democratic position was “protect it.” The most extreme Republican position was “dismantle it.” The likely outcome seemed somewhere between the two positions—painful cuts that would hurt millions of seniors and veterans. We needed a new playbook. For the Progressive Change Campaign Committee, the grassroots organization I co-founded with Adam Green, the moment of revelation came from a meeting Adam and I had with Senator Elizabeth Warren. She had just been elected to the Senate, and her office at the time was a temporary trailer parked in the courtyard of a Senate office building (we joked that she had spent $20 million on her campaign to end up in a double-wide). Towards the end of the meeting, Adam and I brought up the ominous attacks on Social Security, the gathering storm clouds. In response, Senator Warren mentioned pieces of legislation proposed by then-Senator Tom Harkin of Iowa and then-Senator Mark Begich of Alaska. The legislation would expand Social Security benefits, not cut them. Most importantly, this was legislation proposed by a senator from a red state and a senator from the first presidential caucus state, creating the political room to fundamentally shift the debate. Suddenly, it was clear. We would go on the offense. Over the next three years, the idea of expanding Social Security became a full-throated push by the progressive movement. The influential blogger Duncan Black wrote about the idea early on, generating interest and momentum. In the summer of 2013, a group of progressive leaders met together in a small conference room during Netroots Nation, the big annual gathering of grassroots activists, and agreed to pivot from stopping Social Security cuts to calling for expanded benefits. With allies from Democracy for America, Social Security Works, MoveOn.org, the Working Families Party, the AFL-CIO, and elsewhere, we started a regular drumbeat of petitions, letters to the editor, and phone calls. Almost every conversation with a reporter, every press release and blog post contained a call for expanding Social Security. We raised money from grassroots donors for a poll of swing states such as Iowa, Texas, Kentucky, and Colorado, which showed that the idea of expanding Social Security was popular by 2-to-1 or 3-to-1 margins everywhere. Most importantly, we developed a sophisticated game plan, an inside-outside partnership between activists and our congressional allies to change the debate. In November 2013, Senator Warren gave a historic floor speech calling for Social Security expansion, which led to Third Way attacking her on the op-ed pages of The Wall Street Journal. Congressional Democrats pushed back. Honorary Third Way chairs Senator Jeanne Shaheen (D-NH) and Representatives Joe Crowley (D-NY) and Allyson Schwartz (D-PA) publicly criticized the attacks; Schwartz eventually resigned from the foundation. Throughout 2014, support for expansion grew, with a number of progressive candidates campaigning and winning competitive elections on the issue, including Senator Brian Schatz (D-HI) and Representatives Mike Honda (D-CA) and Bonnie Watson Coleman (D-NJ). Forty-two current Democratic senators voted in support of a resolution calling for expansion, while members of the Congressional Progressive Caucus lobbied their colleagues in the House. Today, a big majority of Senate and House Democrats are on the record in support of expansion. By 2015, the Progressive Change Institute “Big Ideas” poll showed that expanding Social Security is supported by 70 percent of likely voters—Democratic, Independent, and Republican alike. Only 15 percent of respondents opposed expansion. In the past year, Hillary Clinton and Bernie Sanders have both said they will not cut Social Security—and have proposed plans to expand benefits, although Sanders’s proposal goes farther and is more inclusive. Sure, he should have called for expansion years ago. He should never have proposed cuts in the first place. 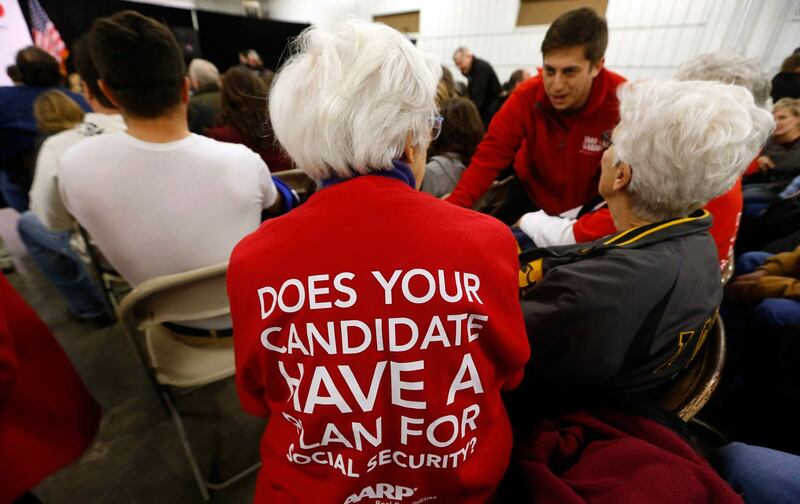 But this was finally an affirmation that the idea of Social Security expansion has reached the leadership of the Democratic Party—that the idea has become normalized and mainstreamed into the party lexicon. It’s a playbook for what we can do, together, to push the Overton window farther. To bring a more expansive vision of what government can and should be into mainstream politics. Let’s do it again. Stephanie TaylorTwitterStephanie Taylor is co-founder of the Progressive Change Campaign Committee.